The Washington Internship Institute sponsors a number of events, mainly in conjunction with its academic internship program, so that our participants may take full advantage of all that Washington has to offer. Freshmen Vanderbilt students spend spring break exploring "Half the Sky"
The Martha R. Ingram Commons and the Washington Internship Institute teamed up to offer students an exciting week in Washington over spring break to explore in greater depth the themes and ideas discussed during their First Year reading program’s Half the Sky. For five days in Washington, DC, students met the policy makers, diplomats and entrepreneurs who are a making a difference in the fight for women’s equality around the globe. Whether considering such critical issues as gender and family; women’s health including child-bearing and HIV/AIDS; women in war and post-conflict circumstances; human trafficking; economic entrepreneurship; and micro-lending, students had the opportunity to critically assess these issues through stimulating seminars, networking sessions, and site visits to Capitol Hill, the Department of State, and prominent women’s NGOs such as Vital Voices and Women for Women International. 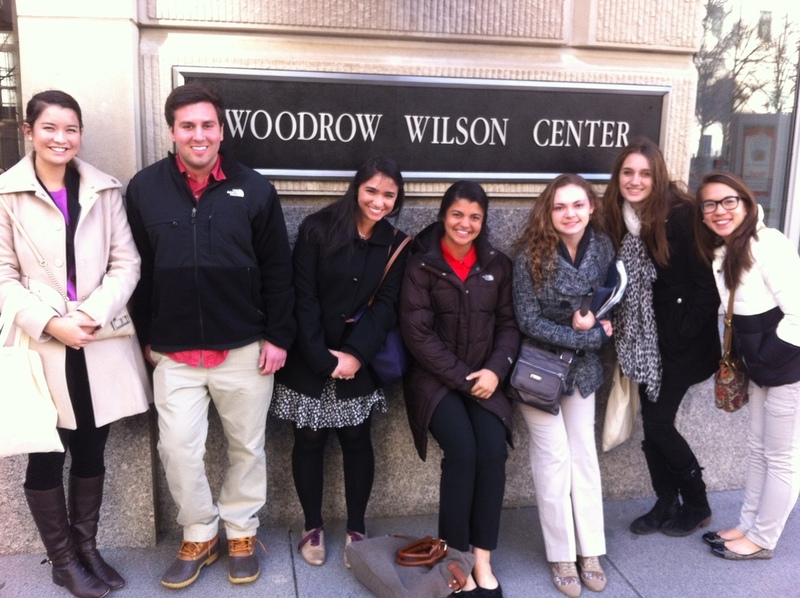 The Washington Internship Institute (WII), an educational nonprofit organization, focuses on three principles: public service, leadership and professional development. Rigorous academics and practical internship and immersion experiences in the most powerful city in the world enable WII to create active citizens prepared to serve in their local, state, national and global communities in the 21st century.